See your operational performance like you’ve never seen it before. 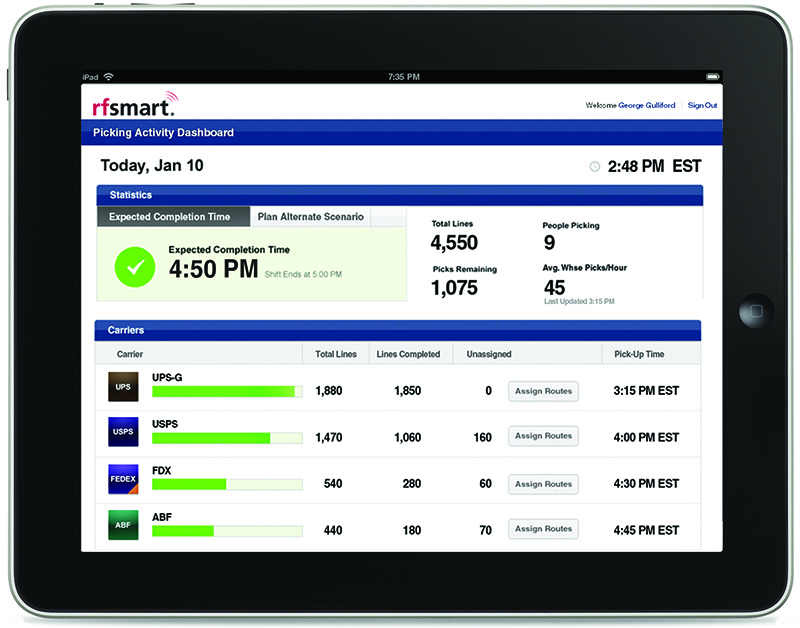 The RF-SMART Manager Dashboards provide views into the day’s activities that have never before been available. Whether you are running AX 2009, AX 2012, or Dynamics 365 this information enables your managers to improve decision-making and operational performance - at a glance! The Picking Activity Dashboard shows today’s picking activity, the estimated time of completion given the picking rate, and shows the remaining picking activity by carrier pick-up time to ensure that the right work is completed first. The Picking Assignment Manager gives managers a simple, elegant way to assign, re-assign and prioritize picking tasks by person, carrier, company and other criteria. Task assignment has never been easier.